BULLHEAD CITY, Ariz. – To be linked with the historical figure Paul Revere would suggest something special took place. 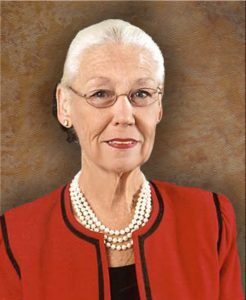 For Lyn Opalka, there were many special moments over the course of 35 years as a Mohave Electric Cooperative board member, 27 of which were spent as president. But, it all culminated with the passage of SB 1412, which keeps assigned capital credits local. In recognition for her effort, Opalka received the National Rural Electric Cooperative Association Paul Revere Award, which was accepted on her behalf by current board president Joe Anderson at the NRECA annual meeting March 10-14 in Orlando, Florida. Opalka played a vital role in MEC’s “Call to Action” outreach to members that resulted in getting the bill passed unopposed in both the Arizona House and Senate before it was signed into law by Gov. Doug Ducey in March 2018. The call to action generated more than 6,600 letters from MEC’s membership of 33,182. The letters were hand delivered to the State Capitol in Phoenix. The award is in recognition of an outstanding achievement in the mobilization of an electric cooperative grassroots effort on an issue of importance. 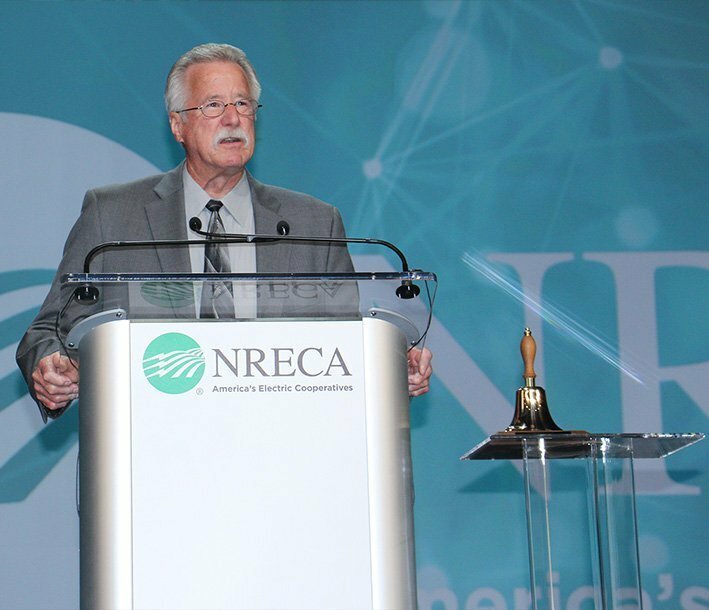 “It was Lyn’s strong commitment and connection with the community that resulted in accomplishing the legislative action needed to allow Arizona electric cooperatives to continue supporting important local programs benefitting their members,” said Jim Matheson, CEO of NRECA. Opalka, who retired from the board in December 2017, received word of the award in July 2018. “This award stands for great things we have accomplished by working together: Mohave’s board of directors, management, employees, and most of all, our members,” Opalka said. “We can all be very proud our actions are recognized among electric cooperatives at the national level and rewarded with this honor. Under Opalka’s leadership, MEC members approved a bylaw provision allowing assigned capital credits to be used for community programs, but without the protection of SB 1412, MEC could have been forced to stop its support for community programs and organizations. Some of the programs supported through assigned capital credits are: the Mohave Electric “Members Helping Members” Energy Assistance Program, Classroom Grants, Washington Youth Tour, and the School Electrical Safety Program.